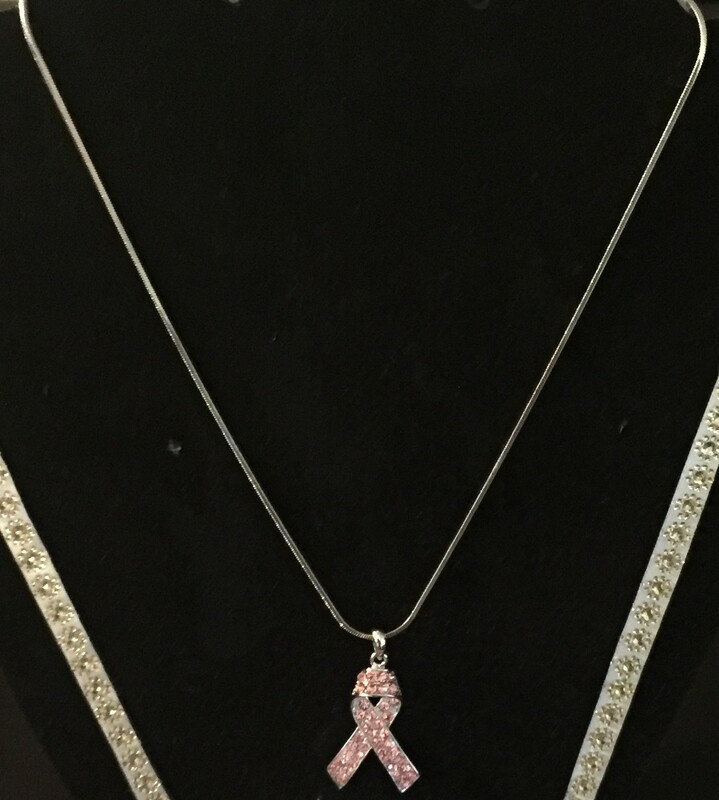 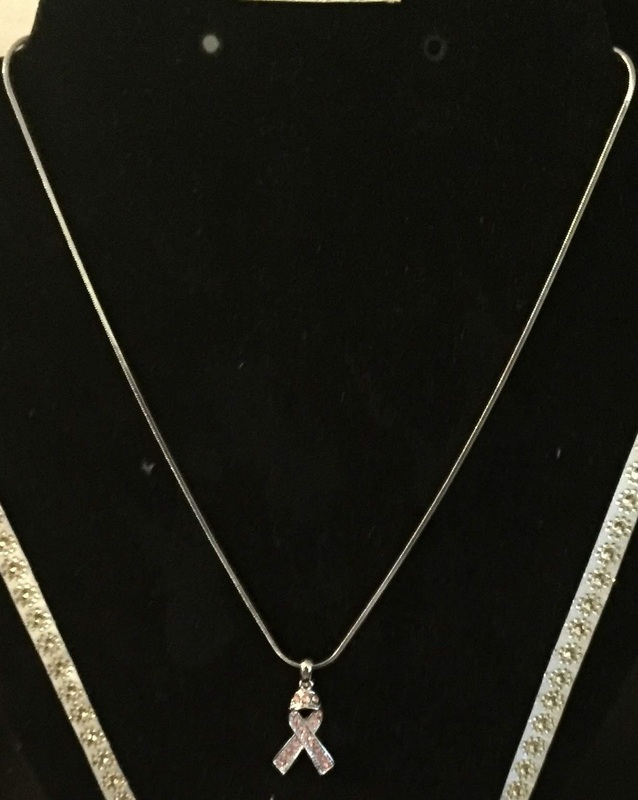 The Silver Plated Pink Rhinestone Ribbon Necklace has a silver plated awareness ribbon pendant with pink stones. 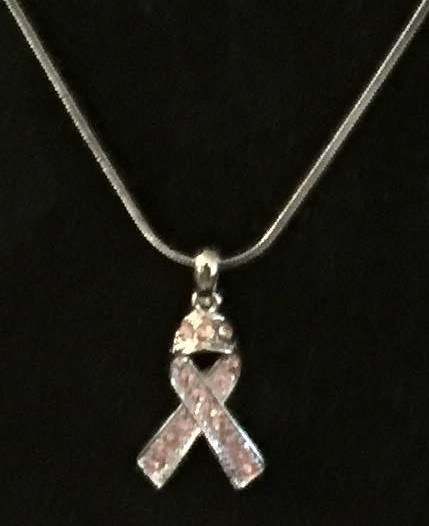 It is available with a small pendant (1.0 inch) Or a large pendant (1.5 inches). 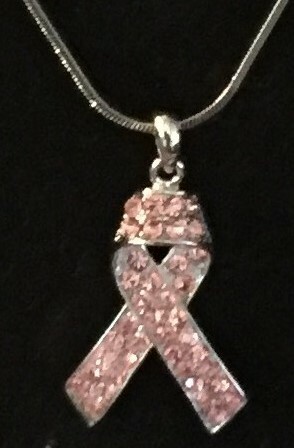 The silverplated rhinestone ribbon pendant is on a sixteen (16) inch silver plated chain.